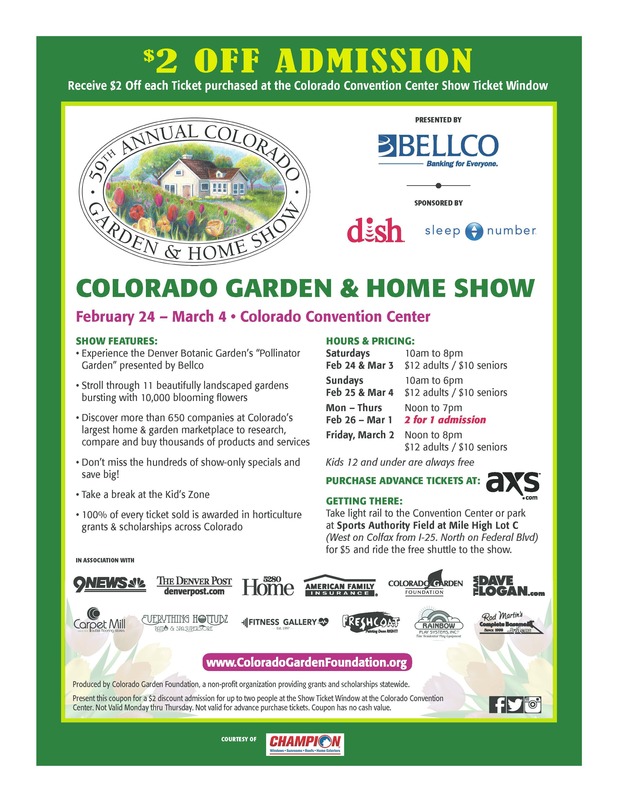 Did you know that Outdoor Lighting Perspectives of Colorado also provides temporary lighting services for special events on a rental basis? 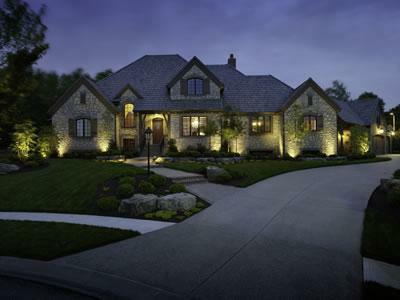 We can provide design, installation and take-down lighting services at your own home, business, or other venue. 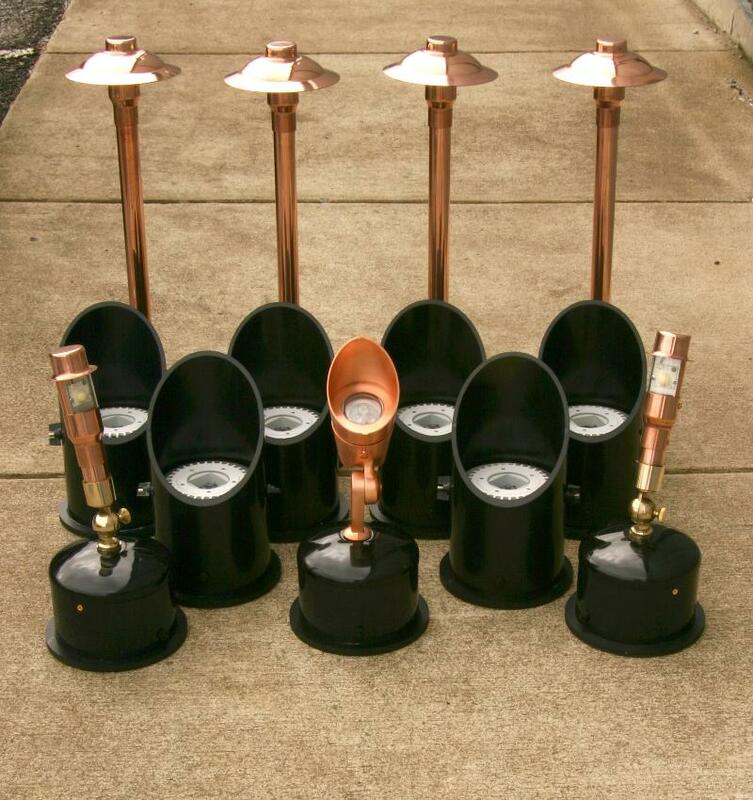 The battery-powered LED landscape lighting fixtures shown at right can be placed to illuminate walkways, trees and tented areas on your property, building, or tented pavilion – without having to run any temporary wiring that could become a tripping hazard. In addition, we can also set up laser light projection systems that can create a magical venue with thousands of sparkling lights that can take on the appearance of lightning bugs. 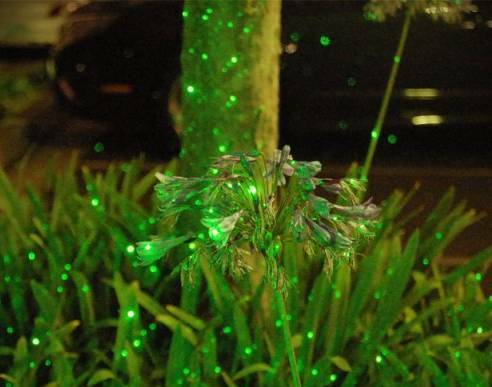 One of our customers with a permanent laser light installation has told us that he always feels like he is attending an outdoor performance of a Midsummer Night’s Dream. 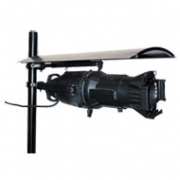 We can also provide an image projection system with either standard or custom gobos. A gobo is the metal or glass plate that creates the lighted image on whatever surface is being projected onto. A custom image, for example, could be the bride and groom’s name that is being projected onto a dance floor or the ceiling of a ballroom or pavilion tent. Of course, we can also set up festival lighting or other types of twinkle lights on trees and shrubs to create a festive appearance for your evening event. We also have special LED color-changing floodlights that can be synchronized to music, if you would like to take your event to the next level. 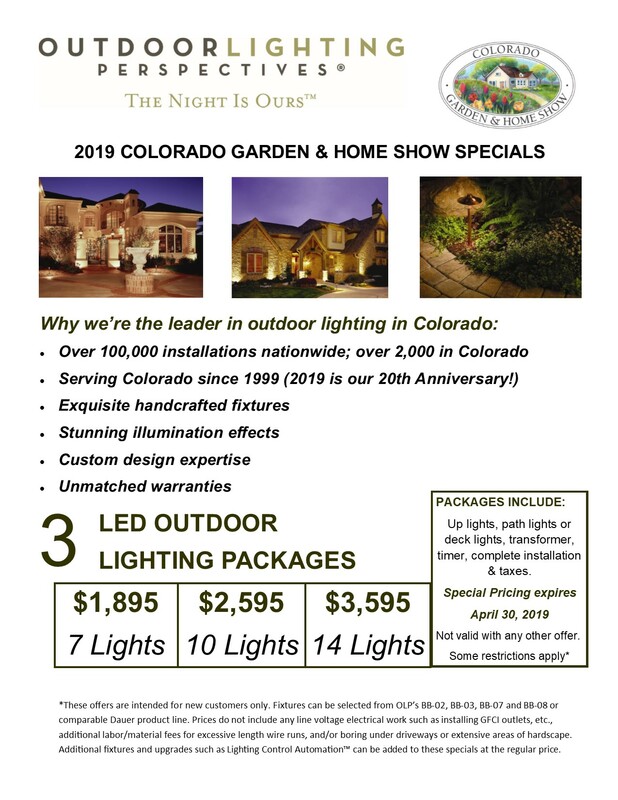 These are just some of the special event lighting services that we offer throughout the year, so please contact our office at 303/948-9656 for more information and pricing. Can Decorative Holiday Lights Be Used in Outdoor Trees Year Round? Today is Friday, December 21st – the winter solstice – on which day we will experience the shortest number of daylight hours and the longest number of nighttime hours. It is not surprising that many homeowners and businesses like to keep their decorative holiday lights installed for a longer period of time, especially in trees. Today you will see trees (primarily deciduous) illuminated throughout the year along city streets in shopping and arts districts, at restaurants, and at private residences. Many people ask whether you can use the same type of lights used at Christmas – and just leave them installed in the trees after the holidays. 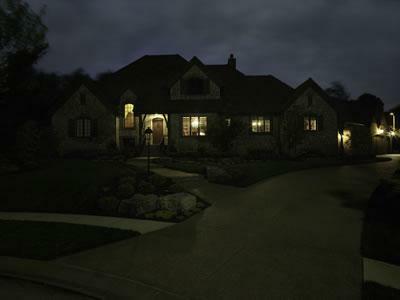 Many people do use these regular lights, but these lights are not certified for year-round use and are not very well-protected from long-term damage caused by moisture or the sun’s UV rays. Invariably, these lights will begin to fail in six or nine month’s time, and the lights will need to be removed and replaced with new ones. A much better option is to use professional-grade line or low voltage incandescent or LED mini lights that are permanently sealed and watertight, have IP44-rated coaxial connectors, and are UL and CSA approved. IP44 is the Ingress Protection rating for a connector that is protected from water spray from all directions; i.e., it is a very good choice for an outdoor installation to be used long term. 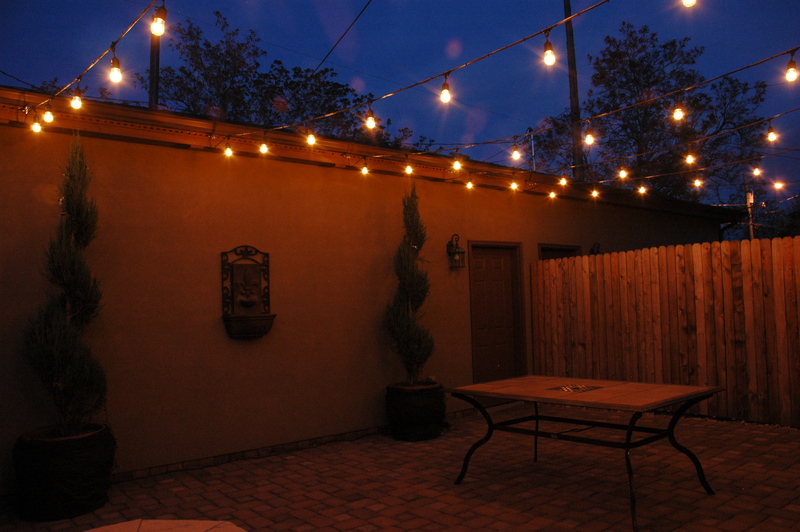 One of our first installations using these year-round lights was back in 2001. Our customer’s kitchen window looked out into a dark void between her house and the adjacent property. But in this dark void were two beautiful ornamental trees that were invisible for most of the year in the evenings. We could have uplighted them with our standard low voltage well lights (uplights), but the homeowner decided that she wanted something more decorative and whimsical. So we decided that low voltage incandescent clip lights would create the ambience that she was seeking. Except for minor annual adjustments as the trees have grown over the years, these lights have worked well during the last eleven years until recently. In fact, our one crew is back there today to remove the old lights and install the new. So eleven years has been a pretty good run for this type of decorative lighting. So here’s to enjoying all of the beautiful lighting – and Happy Holidays from everyone here at Outdoor Lighting Perspectives of Colorado.